We know that kids don't always want us to wash their hair- Mango Melon Shampoo & Condtioner helps to make the job a lot more enjoyable for everyone-we've made sure that our hero hair product is a pleasure to use. Kids love the fruity tropical fragrance and green gooey gel shampoo, you love the fact it's a shampoo and conditioner in one, so washing hair suddenly got a lot simpler. Smiles all round. Like all our Halos N Horns products we also made our Mango Melon Shampoo & Conditioner as safe and gentle as possible by avoiding some of the harsher ingredients that can be found in other kid’s bath time products. 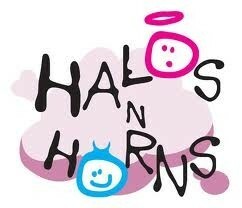 You can view our ingredients policy to see what ingredients are in Halos N Horns and what we have taken out and why. Now you can enjoy bathing your kids with no niggling worries about what's in the product you’re using. You put your feet up; we're off to polish our halos! Apply a small amount to hands and massage into hair, rinsing well. Great ethics, easy to use and works really well. A really vibrant scent that leaves hair really soft and shiny. Cleanses well and the lather is really good. I love the whole range and would keep them stocked up in my house.